Orangs are reddish-brown apes that live in the rainforests of Indonesia. 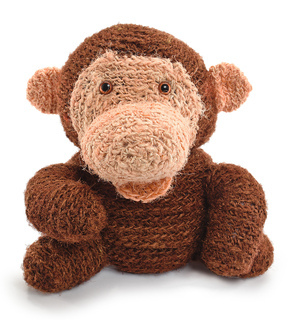 Use an interestingly-textured yarn so your orang looks extra furry (and cuddly, don’t forget cuddly)! note: When you’re crocheting with handspun yarn that is thicker in some spots than others (like Dharma), your gauge may vary slightly from specified. What is important is that you like the look of your crocheted fabric, and change needle sizes, if necessary, until you are satisfied.